High quality candle, strong smell, slightly annoying box. 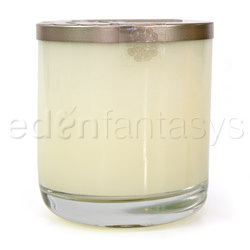 Everyone loves a beautifully fragranced candle, but too often the intended fragrances come off as cloying, artificial, or chemical. 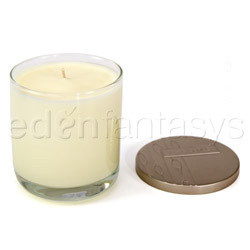 Illume Candles™ has mastered recreating familiar scents without harsh overtones in high-quality soy wax, which, paired with lead-free wicks, burns cleanly and evenly. 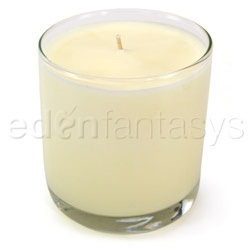 7.9 oz filled glass candle will burn for up to 50 hours and is attractively packaged. 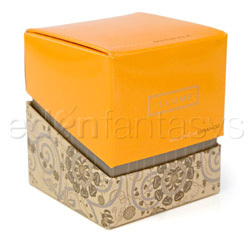 Arrives in a stylish box suitable for gift-giving. Choose from Valencia Orange – sunny, bright, and uplifting; Angel Food Cake – the delectable scent of just-baked desserts; Pomegranate – sweet, ripe and juicy; or Cucumber – fresh, clean, and revitalizing. Thank you for viewing Illume the 23 collection page!